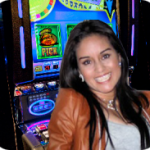 Dragon Lines Slot Game by Ainsworth: Take a FREE Pokies Spin Here. The magnificent belief of the Chinese that dragons are symbols of superiority and great fortune takes the spotlight in Dragon Lines online pokies machine. Featuring familiar symbols in China that are widely regarded as bringers of luck, this slot game certainly knows how to attract players with the way they are excellently depicted, as evidenced by this slot’s stellar graphics. 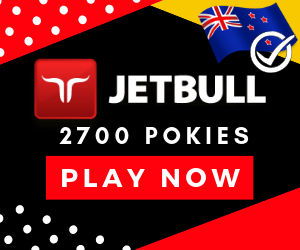 With promises of immense wealth to be had, would the Dragon shower its favor on your New Zealand good pokies luck. Dragon Lines is conventional, at best, when it comes to its setup. It is composed of 5 reels and 3 rows, but its paylines are above average at 100. Players can set how many lines they wish to bet on in ones (from 1 to 29) and in fives (from 30 to 100). 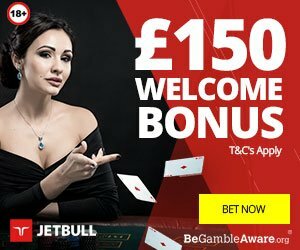 This slot’s Bet parameter multiplies its value with the number you set on Lines; these value, in turn, determine your total bet before spinning. Only highest winning combinations are counted on every payline and are considered in a left to right direction; this rule doesn’t apply to scatter symbols. Low-Tier Symbols – This online slot has common symbols 9, 10, Q, J, K, and A. 9 is unique since it has a 2 of a kind winning combination. These symbols are similar when it comes to their 5 of a kind rewards, which is exactly capped at 75 credits (considering the player does a max bet on 100 lines). They noticeably differ a lot in their 4 of a kind formation rewards. Nonetheless, these symbols offer minimal rewards, but can still be extremely profitable with 5 of a kind wins. High-Tier Symbols – Firecracker, Drum, Lantern, Chinese Coin, and Gold Ingot are this slot’s coveted unique and high-value symbols. Their rewards are entirely different from one another, with Firecracker offering the least with a max of 112.5 credits. Drum and Lantern are practically mirror symbols, as both give the same amount of credits, capped at 150. Chinese Coin offers as much as 225 credits, while Gold Ingot is at these symbols’ top most pedestal since it gives as high as 750. Wild Symbol – It’s only appropriate that Dragon is this slot’s Wild. It fulfills a Wild symbol’s traditional function of Substitute for all symbols, minus scatter symbols. Scatter Symbol – Yin and Yang symbols serve as this online slot game’s scatter. 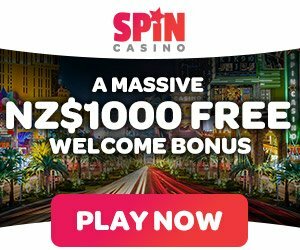 Getting at least 3 of them in a spin triggers this game’s Free Spins bonus round in which players are given 10 extra spins that plays the original bet that they made prior to triggering this bonus. A Yin and Yang symbol combination works in great synergy with Wilds since it’s only during the Free Spins bonuses that these symbols trigger that Wilds become stacked symbols. Obviously, this provides better leverage for players to get wild wins. Keep in mind that triggering a bonus round instantly rewards you with a x2, x10, and x100 multiplier for your original bet if you were able to land 3, 4, or 5 scatters, respectively. Once free spins have begun, you are still given a chance to earn more extra games if you are able to land 3 or more scatters again; every time you do so, you will instantly be awarded 5 bonus spins. Kiwi players that love Asian themed pokies will enjoy this game from Ainsworth aka Dragon Lines.